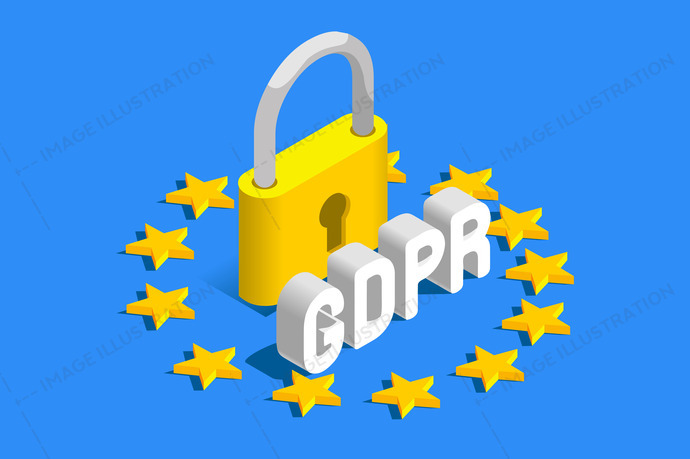 GDPR EU Flag stock images by Aurielaki. Banner Vector illustrations in EPS10 EPS JPG AI. SKU: GDPR-EU-Flag-Vector-Banner-AurielAki. Category: Geopolitics Infographics. Tags: 2018, act, background, banner, bill, business, communication, computer, controller, data, digital, encryption, europe, european, flag, gdpr, general, ico, identity, illustration, implementation, industry, information, internet, isometric, law, legal, legislation, letters, lock, map, padlock, prepare, privacy, processing, protect, protection, regulation, safe, safeguard, safety, secure, security, star, symbol, technology, union, united kingdom, vector.